"Carolina Creative provided great service and creativity in developing our new website. They were always a timely response to all of our requests as we know we drove them crazy with changes. Randy and his team provided valuable project management support that helped keep us on task. His step-by-step guidance let us know what they needed from us at the different intervals in the process and it was an excellent experience working with them." "Wow! I do not know where to begin about the service that Randy and his staff have given me. From the first phone call I have been overwhelmed with the attention to detail and the ability to take my words, scattered notes, and random last minute add-ons to create such a spectacular website that is exactly what I wanted and more. I am thrilled ever time I see my website and I am constantly getting compliments on it. It for sure has the WOW factor that I was going for. I highly recommend Randy and the staff at Carolina Creative for all your marketing and website needs." " As our new year begins July 1st, I wanted to take the time to share our appreciation for the work that you have done to develop a new website for our organization. You have gone over and above to work with us through many changes, additions, and circumstances. Thank you! Again, thank you to you and your team for a job well done." "Easy to work with. Listens and gets the job done immediately!" "Randy and his team are so creative and responsive to our needs. I would recommend them to all my customers in need of media services." " Thanks so much for getting our site back up and running. When I tried another vendor, I was ashamed to tell people to go to my site as I had so many criticisms on it. Your sites are the greatest; not only visually satisfying but very user friendly. I never hesitate to send clients to my site so they can search out listings. Thank you again for your willingness to listen and then know what works best for your individual clients. " "Carolina Creative and Carolina Media Group has been great to work with over the years. Very creative, conscientious, and capable of making a first class presentation of your business." "I had a web site that I was pleased with, however, I asked Carolina Creative to take a look at it and offer some suggestions for improvement. I told them who my target audience was, what I was trying to do and the feeling that I wanted to create with the website. What they produced for me literally rocked me back on my feet the first time that I saw it. The color, message and image I wanted for my business was way beyond my expectations. They had listened to everything I had said and produced a fantastic site. Prior to this web site, the majority of my business came from the yellow pages. Now the overwhelming majority of business now comes from the internet. I just drastically reduced my yellow page ad for next year, saving me mega advertising dollars. I highly recommend that you talk to Carolina Creative and let them show you what they can do for your business. Its' magic. They will enhance your company image and save you a lot of money." "Carolina Creative has been above and beyond everything that we hoped for with our website--we receive compliments constantly from our readers and advertisers. They love the ease of use and overall look of our site. Although we are a small company, we are ALWAYS treated as if we're the most important customer they have. Randy and his team have been incredible and I would recommend them to everyone! Fantastic job and awesome staff! Thanks so much to Carolina Creative Group for all they do for us!" "Professionalism, and a grasp of what the needs of their clients are, sets Carolina Creative apart as the premier web design and hosting company in the nation. Our company is very pleased with the services of Carolina Creative and highly recommends their services.  Whether it is improving your website or assisting you in establishing a new market concept for your business, there is one name you should remember: Carolina Creative!" "Randy, Just wanted to tell you how many comments I get each week on our company website!! Everyone loves it!! Thank you so much for your help, and always for your quick response." "The help we received from Carolina Media Group in bringing our company up to date was immeasurable. From the start, they guided us through every step with their knowledge and experience. Randy and CMG have their finger on the pulse of the city and the region, knowing ours and many other industries and the needs required to succeed in each. All of this along with being very easy to work with ensure that we will continue to use them in the future." "Carolina Media Group worked with us to design and build our beautiful website. They have been amazingly patient and efficient with all the changes and modifications that we have decided we needed over the last three years! Many of our customers tell us that our website is the best in the area they have visited while looking for a wedding cake and/or specialty cake. The site is very user friendly for our brides and their parents." "Working with Randy Looper and Carolina Creative has been an absolute pleasure. Unlike many multi-media marketing companies, the relationship built with Carolina Creative is constantly changing and ongoing. Randy completely transformed the image of our company and we always receive compliments. I would highly recommend Carolina Creative for any marketing, advertising and multi-media needs." "I can't remember how long we have been working together. Our relationship started with Randy and his group being a web site service provider for my company and has evolved in us being business partners on contractual jobs. More than that he has become a genuine, true friend! If he can help, he will! He is spot on with creative ideas and his team continually amazes me and my clients with their online abilities whether they are building web sites and newsletters or SEO. They know their stuff and get results!" "Randy and his team designed our website for our company. He is very organized, thorough and detail oriented. It has been a pleasure to work with Randy through the process. I am delighted to be able to recommend him and his company to anyone desiring an expert webmaster." "Thanks for all your hard work. The new site looks amazing." "Carolina Creative has done a great job with a very custom web site for us. They have been quick to respond to changes and I highly recommend them to everyone." "Randy is awesome with his creative ideas. He has produced a beautiful website that is very user friendly for my clients. I had have so many people tell me they love using our company website to look up properties all over the area. I have thought about updating the look but can't find anything I would like better than what Carolina Creative has already produced. I think my website is beautiful. In my opinion, "he is the very best "." "We have been using Randy at Carolina Creative for a number of years and have always been well pleased with our web design and layout. Randy is very courteous, professional and friendly, as well as very creative. He thinks ahead on ideas that may drive more traffic to your site and to make your site more user friendly. If there is ever a problem or a change that you need, he is only a phone call away. I would highly recommend him to anyone, regardless of the size of your organization." "Randy Looper has one of the most creative minds of the century when it comes to web designing. He is amazing. He seems to know exactly what each individual client needs. He is of the highest integrity, which is of the utmost importance to me." "We have worked with Randy for over 10 years. While we have had countless solicitations by other web/creative companies, our loyalty lies with Carolina Creative. Randy has an amazing ability to understand our company, our goals and our target audience. Our reputation and brand is of utmost importance to us and we place all confidence in Carolina Creative to deliver for our web-based solutions"
"I can't thank Randy enough for his professionalism and outstanding work. I continue to be impressed with my website, but more importantly my clients love it too! Thanks for making my business grow!" "I could not be more pleased with the beautiful new website Randy Looper and Carolina Creative designed for me. They have been very responsive and worked hard to get it done for a quick deadline. I highly recommend Carolina Creative!" "From social media and QR Codes to comments from visitors who actually attend events in the Town of Ridgeway, the resounding message is “We love your website!” Again these comments were validated in our recent Municipal Association of South Carolina Achievement Award, “One Tank Town Goes Social” which highlighted our redesigned website and use of social media to attract shoppers, diners and tourists to our Town and to keep our community connected. The Town of Ridgeway applauds the work of Carolina Creative that helped recreate a dynamic website that gives us a notable presence throughout the state of South Carolina." "We contracted with Carolina Creative to redesign our Association website last fall. The process from beginning to end went very smoothly and the website went public on January 1st. We are very pleased with the design of our website and the great service we continue to receive from Carolina Creative." "Here at JOY Real Estate we consider Carolina Creative a true partner in business. They are such an integral part of our marketing strategy we rarely make a strategic marketing decision without them. In fact, we have received international recognition for our digital marketing efforts because of Carolina Creative's innovative work. Beyond the business partnership, we proudly consider Randy Looper and his team a part of our JOY family." "We were in dire need of an updated website. We had not touched our site in over four years, mainly because no one knew how to do anything with it. It was created by a young man, straight out of high school, we hired one summer. We spent a great deal of time, effort, and money to get a decent site, that in the end no one could update once our employee left for college. Four years later, frustrated and needing a fresh new look we found Carolina Media Group. We now we have a wonderful looking site that is super easy to update and keep both relevant and fresh. Whenever we need a little extra help Randy and his team always have a super quick resolution. We are located in Fayetteville, NC and are glad we partnered with Carolina Media Group and Randy Looper. They are integral to our business and are truly part of our team. They also saved us a lot of time, effort, and money!" "It's a breath of fresh air to work with someone like Randy Looper who truly cares about his clients. As a designer, he never fails to make my vision come to life and does so with great professionalism, responsiveness, clear communication and a smiling face. Carolina Creative has been a pleasure to work with from day one and will be for many more." "Carolina Creative has embraced our brokerage and provided us invaluable, results-oriented expertise with our internet and digital marketing needs. Randy has worked together with me and effectuated a real team approach to generating interest in company. His knowledge and ideas in website creation are refreshing and his follow up is what keeps him on top of our list." "Responsive. Reputable. Reliable. Randy Looper and Carolina Creative are the face of our business and understood immediately what we were looking for in a digital presence." "Randy Looper of Carolina Creative has designed three websites for our company and we are always extremely satisfied with his work. He is very creative and always utilizes the latest technology to ensure that we get the best possible results. We get many compliments on our site as well as many visitors and feel that Randy is largely responsible. We are proud to be his client and would highly recommend him to anyone considering a new web site or an upgrade to their current one." "I wanted to let you know how much we appreciate the guidance you have given us and the services that you have provided over the last 15 years to both the company and our individual agents. As a business owner, we have found it more than a challenge to keep up with the technology and marketing for our products and services. The challenge is not only from time and knowledge but from a financial standpoint. You and your team have solved the problem for us by providing top notch media and marketing services at an affordable price. As you are aware, our web site that you created for us has been recognized nationally by real estate industry leaders. We are so proud of it. 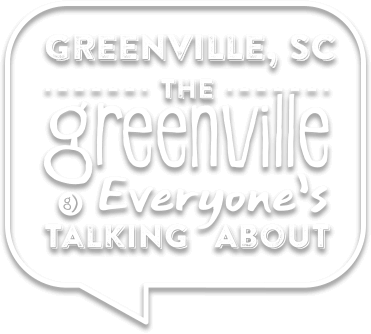 I have other Realtors in the upstate MLS area say they use our site to search for properties out of the Greenville area because it is so easy to navigate and has up to date information. I have referred many agents and other companies to you because I know you will do an excellent job for them. We sincerely appreciate the wonderful service you provide us and are excited about the upcoming promotion and celebration of our 40th year in business. Thank you so much for all that you do. We treasure your friendship above all." "I contacted Randy Looper with Carolina Creative in June, 2013 regarding a new business concept associated with access to healthcare - Telehealth. Over the course of two weeks, I met with four custom website developers. Each had their own theory how to market our company and technology for a variety of services. Carolina Creative was the last company I met with I wished they had been my first. After my first meeting with Randy, I walked away thinking this person gets it. Not just the concept or technology, but the big picture. That meeting took my company from being regional to a national company. Randy stayed in contact asking specific questions before presenting his proposal. I was looking for a developer of a website, but I got a marketing developer of my company and brand. Anyone can have a website, but to be successful you need a clear pathway to how to make your company successful. The proposal I received from Randy was extensive and complete. From a new logo, to business cards, marketing materials, press releases and a website that was beyond my expectations. On September 12, 2013, eDocHome was launched. Randy had taken a new unheard of concept and created a complete marketing campaign that launched our business. The growth of eDocHome has been phenomenal. I have seen so impressed with Randy, I am launching a companion company July 01, 2014. I do not believe eDocHome would be as successful as it is today without Carolina Creative." "Randy Looper and his team at Carolina Creative have done an excellent job providing me with a professional real estate website that is very attractive and intuitive. Whether I am calling to inquire about additional services or to make changes to my current website, I can depend on Carolina Creative to follow through to the smallest detail. I would certainly recommend allowing Carolina Creative help you with your web and digital marketing needs." "Masterfully creative. Stellar customer service and responsiveness. The highest of integrity. Carolina Creative has been my website provider for over a decade and as a REALTOR, I cannot think of anyone I would recommend more to be a web and digital marketing partner. No one gives back more to the community or gives more to his clients than Randy Looper and his Team. They are bottom line--the absolute best at what they do." "Just wanted to take an opportunity to tell everyone what a pleasure it is working with Carolina Creative and how satisfied we have been with their services and products. They have worked with and consulted us through brokerage transitions over the past decade and we have received the absolute best of service and advice from Randy and his associates." "Just over a year ago we were in the process of building the Seniors Services of BHHS C Dan Joyner Company. We knew that a great web page would be the best way to introduce this new concept to the market; and we knew that Randy Looper was the only person we needed to call. He listened to our ideas and knew just how to convey our new concept to the public- he did and it worked!" "Randy has been dong my website for years and several people have made wonderful comments about it. Randy is a blessing in my life...he has been there for me personally and professionally - He has walked the tough trails with me and always been able to make wonderful suggestions to improve my business., I would highly recommend Carolina Creative!!" "Randy and his staff are wonderful! They have created a great website for us that is simple to navigate for our clients. The best part is no matter how many times we ask for help with an issue they are always quick to respond and polite when they do. Thanks Randy!" "Randy and his team at the Carolina Media Group went above and beyond on the job that they did on our website. We, at Enternethomes, couldn’t have been more pleased. Our web idea, was a bit unique compared to many real estate websites in that it explored somewhat innovative ideas with regard to listing representation as well as for a portal/directory that we wanted to have to better aid home buyers with regard to help in selecting professional services that go hand in hand with the purchase of a home. Randy, was able to channel and to organize these different ideas into a phenomenal and simple to use platform that was just what we were looking for. He, and his team, had the very difficult job of organizing creativity, thoughts, and ideas of not, one but three individuals, into a design that we liked and felt represented our goals while also maximizing the impact on the most viewers and mass media in general. Moreover, he was a “jack of all trades” so to speak in that you can go to him, and his team will handle everything from cradle to the grave. We incorporated actors, coordinated with Millie Lewis, site locations for shooting, worked with logo designs, generated mailouts and brochures, and handled back end technical aspects of a website that go far beyond general presentation and appeal. The whole time, he was there to guide us in decisions that would aid us from a legal perspective, to minimize risk, and exposure, and get our ideas out into the world in a manner that is most appealing to the public, knowing hot words, popular fonts, and a world of knowledge that is invaluable and greatly appreciated. Most importantly however was the fact that at all times, it was clear that Randy really loves what he does and it shows in his work. Though tasked with the difficulty of harnessing many ideas and personalities, throughout the whole process Randy always wears a smile, values your input, and does his best to accommodate everyone's needs in a manner that best suits the overall objectives of everyone involved. Needless to say, we at enternethomes, are very thankful for all of his help and are excited now that we have a website that is at the cutting edge of the market and will undoubtedly be a great benefit in the future." "After several months of research and being very skeptical of web designers due to my past experiences, I decided to contact Randy with Carolina Creative for a personal meeting. At the end our meeting there was no doubt as to who would be not just designing my site, but also the company that would assist in setting the foundation for all my company media and marketing needs moving forward. My goals were to have a simple but effective professional website for clients and customers along with a website that we could modified as needed with a constant changing market. I would like to personally thank Randy and his team not only for the support and guidance from the moment I contacted him about my companies short and long terms goals, but also the finished product that has exceeded all my expectations. The team at Carolina Creative has managed to design a website that has allowed clients and customers alike to enjoy visiting. Again, thank you Randy and the team for all you have accomplished with and for my company as we look forward to a long valued relationship." "It has been a pleasure to work with Randy and his team. They are efficient, creative and great listeners. Randy provided me with information about improving my website that only an experienced web designer with knowledge of our market could do. 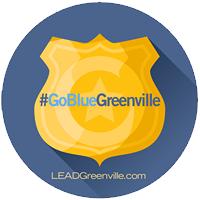 I highly recommend Carolina Creative." "Randy brings a creative and strategic mind to the table. We at Priority One Security appreciate Carolina Creative's professionalism and have enjoyed working with them." "Randy and his wonderfully creative staff worked tirelessly to change my "okay" website into a "Wow, I LOVE IT" website. Really user friendly, easy to navigate and MLS updated 24 times a day! Forever grateful!" "Working with Randy and Carolina Creative was a dream come true! He was able to listen to me and produce a visual of exactly the image I wanted to portray on our website. They are very professional and quick to respond. It was really a stress free experience. It's great when you can hand over something to be done and it's done perfectly, better than you could have imagined! Thank you Randy and team!" "Randy Looper and his staff created my website several years ago. When it was time for an updated site, I knew that Randy was the guy to do it. He listened to my thoughts and gave me some great ideas and it just a few weeks, my site was updated with new information and new pictures. Randy was wonderful to work with and I highly recommend him. I am getting great feedback about my new website. Thank you Randy and Carolina Creative!" "Carolina Creative definitely lives up to its name. Creative is an accurate description of the work they have demonstrated in the development of two websites for me over the past 10 years. Randy Looper and his staff have exceeded all my expectations in “Creation” of the websites which we use constantly in our business promotions. We are constantly adding new examples of our work and can always depend on them to get the job done with their usual efficiency and creativity. Should I have the need for a third site or updating either of the two current sites, Carolina Creative is definitely my team for the job." "The National Dropout Prevention Center engaged Carolina Creative to develop a new Web site to replace our 16+ year old site. We initially selected Carolina Creative because they seemed to immediately understand our clients, our goals, and the foundational concepts for attracting a diverse national audience to a variety of events, resource, products, and information. Our previous Website was already the nation’s most utilized dropout prevention resource, but it was complex, had evolved through many languages, and was internally cumbersome. Carolina Creative successfully worked through our existing content, captured our organization’s 29-year history, and made literally thousands of documents, video clips, publications, and resource links more readily available in a contemporary format. Carolina Creative always responded to our requests, included our staff in important decisions, and met delivery targets When the Carolina Creative product was presented to the National Dropout Prevention Center’s Board of Directors, they literally applauded. In the first ten days of our new Web site’s life, the daily use rate increased by 195% and on-line orders for our publications increased by 71%. Both the product and the process exceeded our expectations." "I've known Randy Looper for a number of years and Carolina Media Group has always performed at the highest level for our company. Randy's team stay on top of technological advances and are well positioned to advise our marketing group on the latest trends for SEO, SEM and web site development. Randy and team stay in front of the curve and keep their clients there as well. If you're not using Carolina Media Group then you're likely losing competitive ground." "Being a family owned and operated company, working with Randy at Carolina Creative was a perfect fit for us. He listened to what we wanted and needed, went the extra mile and treated us as if we were his family. We couldn't be more pleased with the product and value he's brought to our company!" "From our first consult I knew I had chosen the right person to create and manage my marketing. I LOVE my website! It is awesome and captures all the great ideas you shared with me. I have had so many compliments on the new site and cannot express how pleased I am with the product you created! YOU ROCK, RANDY!! Thank you so much for all you have done. I look forward to many years of working with you!!" "Carolina Creative did a fabulous job on giving our website a fresh new presence. Randy Looper was awesome to work with and catered to our suggestions and would highly recommend them to anyone wanting a great new look. Thanks Randy for all your help and creativity." "Our company cannot adequately express our appreciation and praise for Randy Looper and his team at Carolina Creative! A wonderful group of people to work with who are highly skilled in what they do. We have never had a smoother experience than building and launching our new site with Carolina Creative. A big thank you to their entire team!" "Randy and his team at Carolina Creative are the heartbeat of our website, marketing collateral and everything we need to build our presence to the audience we serve. The service has always been excellent, on time and on budget. We couldn’t ask for a better partner to help shoulder our marketing needs. We hold Carolina Media with our highest regard and respect!" "We really appreciate the effort and the outstanding design work that your company created for us!! It is nice to have someone go the extra mile to make sure we are satisfied with the artwork, the set-up, the ease of use, and material design of everything we see. Thank you for working with us to create a wonderful new site for our customers to utilize when they need us." "As the area real estate leader, we strive to be the most comprehensive and trusted source of relevant information for home buyers and sellers in Upstate South Carolina. After months of identifying must-have capabilities and vetting local, regional and national vendors, we selected Carolina Creative as our development partner for our new brokerage website. And we could not be more pleased. Randy Looper and his team at Carolina Creative took our vision and brought it to fruition beautifully. Randy's seamless project management skills, commitment to our corporate goals and attention to detail enabled us to launch an intuitive, thoughtful and responsive real estate website in weeks, rather than months. And his extensive knowledge of the intricacies of our three MLS boards ensures our site is equipped to serve the needs of our agents and clients located across the entire Upstate. Our partnership with Carolina Creative is far more than a website. It is a commitment to bring the very best real estate marketing tools to current and future clients, as well as our agents. We are grateful to Randy and his team for their hard work, diligence and expertise, and we look forward to our continued partnership." "I loved working with Randy and his team of pros. They heard me and created a website that I am very proud to share and use to grow my business."